Welcome to Week 2 of Travel Month! This week’s posts will be focusing on areas in and near the Caribbean. There will be plenty of guest posts to add some extra depth and perspective to the coverage. I am delighted to share so much content and hope you enjoy it. In February, when the days still seem maddeningly short and dark and grey nothing lifts the spirit like a trip to a beautiful Caribbean island. Five days of sun and fun later you’ll be ready to take on the world again! 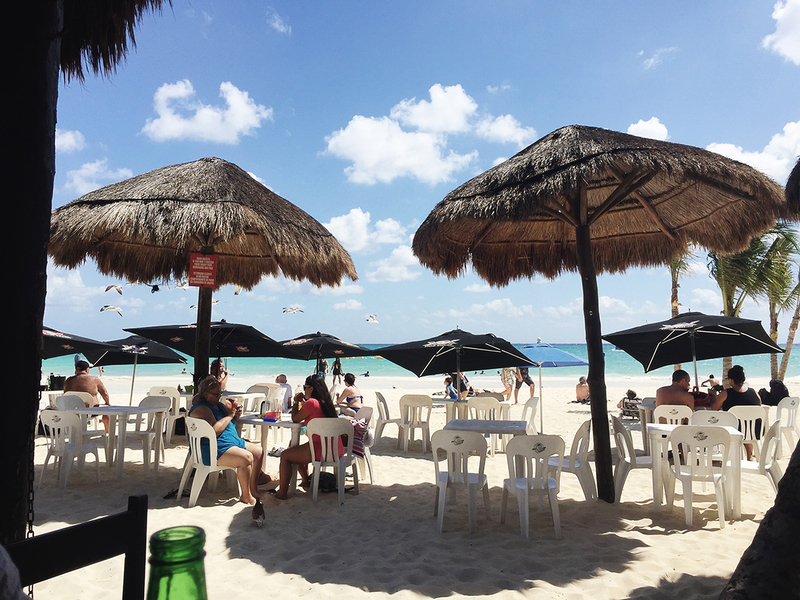 One of our favorite spots to travel to in Winter is Cozumel. The small Mexican island in Quintana Roo is a jet-setter’s dream with secluded resorts, sun every day, exceptional beaches and very friendly people. 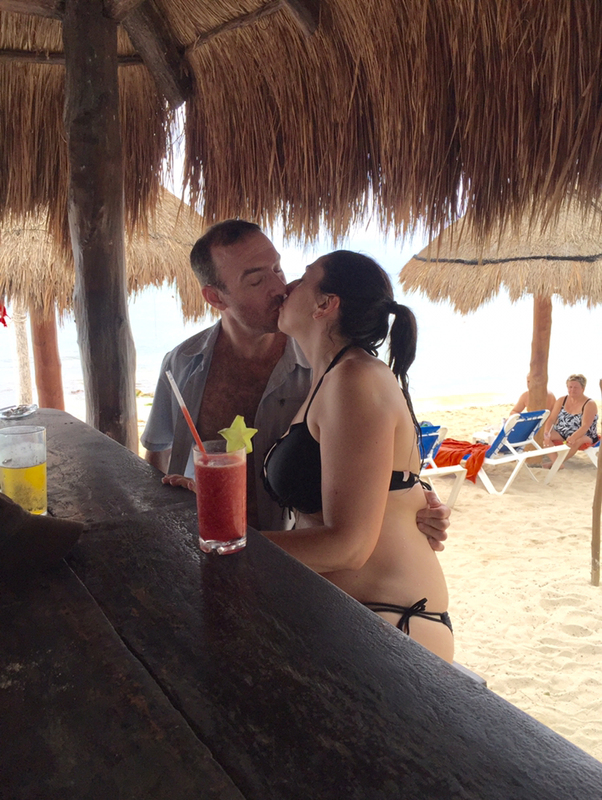 When you arrive in Cozumel, expect everyone to ask you if you’re celebrating your honeymoon. After this — no matter what your answer is — a local will undoubtedly playfully nudge your guy and play whisper to you that Cozumel is where couples come to get pregnant. If your man is getting a little green at that notion just smile and laugh as the extroverted locals welcome you to this heavenly island plopped just off of Playa del Carmen. Enjoy photos from our most recent trip below, followed by how to plan a trip there and the ideal spots to hit on a Cozumel vacation. 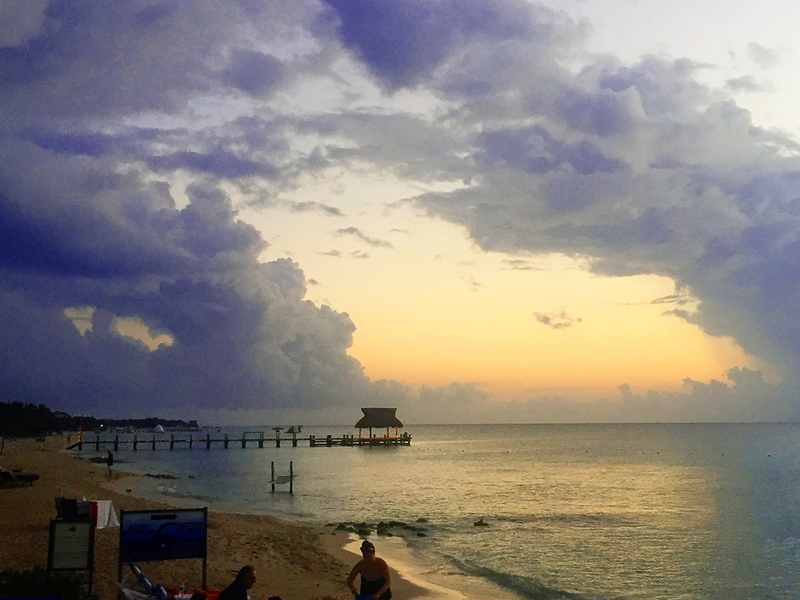 Cozumel is a very popular destination year-round, with the off-season taking place in late Summer and early Fall (aka hurricane season). In the Winter you can expect air temperatures in the low to mid 80s and water temperatures in the mid to upper 70s. Many cruise companies companies offer stops at Cozumel, including Carnival, Celebrity and Disney and you’ll find plenty of airlines with flights there including American Airlines and Delta. However, nothing is easier than an all-inclusive package that includes airfare! For this reason, whenever we want to head to Cozumel, we turn to Cheap Caribbean to plan our trip. With tons of destinations to choose from and so many resorts and options, we love the freedom and flexibility that Cheap Caribbean provides for us! We’ve planned three trips with them and loved every single experience. Cozumel is no exception — Cheap Caribbean has a wealth of Cozumel options, including many all-inclusive resorts and options for adults only hotels. Simply plug in your originating airport city, choose your trip dates and let Cheap Caribbean do the rest, including airfare! They do cruises too if that’s your preferred method of travel.If you’re feeling extra indecisive on your destination or want a really good deal, Cheap Caribbean also offers last-minute deals that often include perks like VIP guest status. On our last trip to Cozumel a couple we met at one of the resort’s bars had landed a beautiful suite with a patio hot tub as one of these last-minute trips. Not bad at all. Whether you’re a diver or a snorkeler like me, these reefs just off of Cozumel are an absolute must-see. Palancar in particular is excellent for snorkeling due to shallow water and a reef that often nearly touches the surface in the area known as “Palancar Gardens.” The Columbia Reef is a bit deeper and home to plenty of sea turtles. 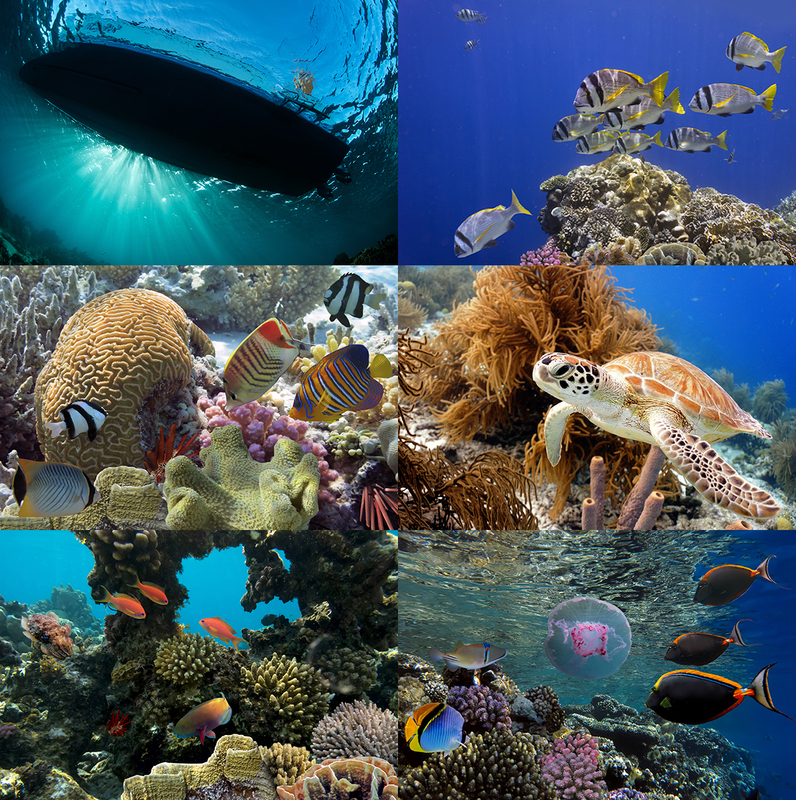 Both reefs are heavily populated with fish, stingray, living coral and beautiful caves and arches. I recommend a snorkeling trip that does both reefs (they are very close to each other). All in all, you’ll get a great day’s exercise and a swim of nearly 2 miles. When the current is strong, snorkel companies will keep everyone on a tow line for safety. My recommendation is to contract with a company right on Palancar Beach. Life vests are required by most companies. Approximately $40/person for both reefs including snorkel gear rental. Featuring some of the friendliest dolphins I’ve ever met, the oceanside at Dolphinaris Cozumel habitat features large homes for the dolphins including a large bay where the animals can come and go as they please. Water shoes are recommended for walking along the rocks surrounding many of the pools. This experience includes intriguing education about dolphins and the opportunity to swim with dolphins if you choose. The dolphins are very calm, friendly and clearly well-taken care of by a staff that’s equally warm and caring. There is an extra fee for lockers and photos with the dolphins. We’re a family of Jeep owners, with two Wranglers and one Grand Cherokee among us currently. Although Jeep is a sponsor of this blog, this particular excursion was an un-sponsored visit we tracked down on our own! There are several companies to choose from and the locally-owned Cozumel Tours Excursions (booked via Trip Advisor) is probably the best. The tour guides have a strong grasp on English and though you will visit a couple of tourist traps on your Jeep trip, you’ll also drive along particularly fun dirt/mud roads and beaches and jungle! 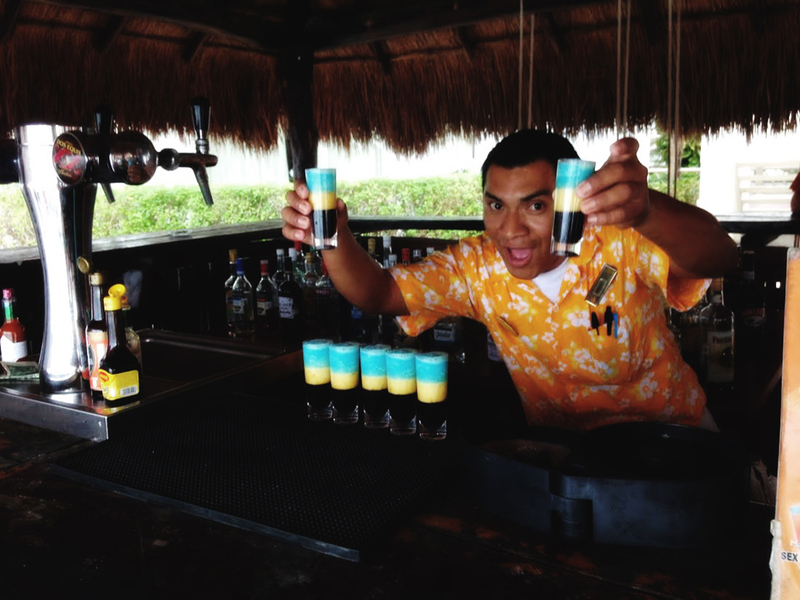 You can customize your itinerary to include just about anything on the island after you take the Tequila Factory tour. Highly recommend including a visit to Punta Sur (Southern Point) of the island. Hard tops are available for rainy days, but hopefully you’ll have an open soft top on your Wrangler and a sunny day to go with it! I’m a little bit spoiled; on one of my Costa Rica trips we visited a cacao tree plantation which had an unbeatable chocolate-making demonstration and tasting. The Mayan Cacao Company comes pretty close though, with a 45-minute tour that includes the history of chocolate and lots of chips available for tasting. Plenty to purchase here too! If you have kids on your trip and don’t mind a bit of a sugar rush, this should delight everyone. Here with your partner, or on a couples vacation? Then I can’t say enough good things about Isla Pasion, a border island about 40 minutes off of Cozumel that’s privately owned and operated. Although there are lots of activities that might keep older kids happy (like kayaks and water trikes) most of the younger kids we saw on this isle looked very bored after a couple of hours. Adults, however, are sure to enjoy the privacy of a capacity-limited beach. Make sure you book an excursion here that includes food! Drinks are provided on the island and there are very nice bathrooms for when nature calls. 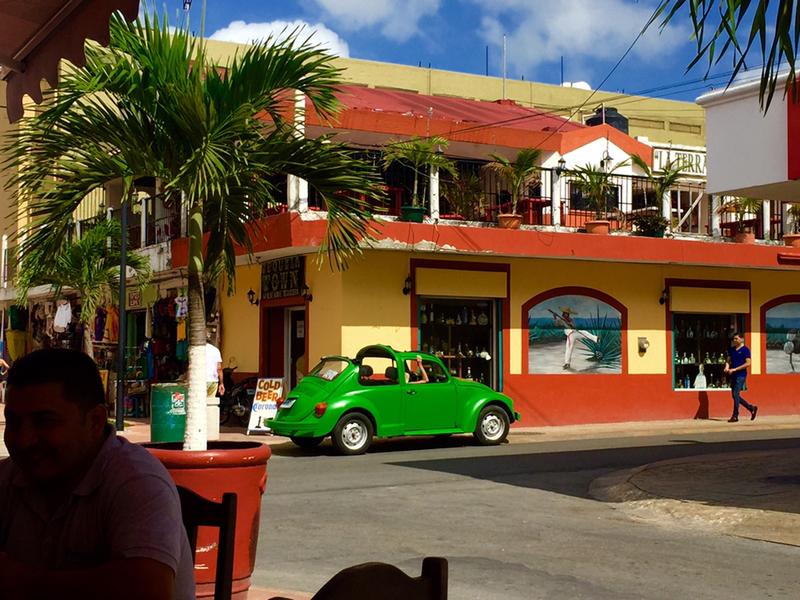 There are vehicle excursions here, but I recommend doing the Jeep tour on Cozumel instead. Interested in learning about the history of Cozumel? This small but well-curated museum is well worth the education in the island’s history and culture. With air-conditioned galleries, this place is a welcome respite from hot midday sun. Most of the exhibits are translated to English (but not all). The museum has a bar on the roof with a beautiful ocean view and crowds are rare. Admission was just $4 last time I was there. The serene atmosphere of the Cozumel Butterfly Garden alone is a worth a trip to this garden, where butterflies emerge from cocoons year-round. Kids and adults alike will relish in the experience of butterflies whizzing by at close range, surrounded by flowers and fauna of all kinds. This peaceful place is very close to the mainland ferry and cruise ship terminals. If you don’t plan to hit mainland Mexico at all on your trip but still want to experience ruins, the small Parque Arqueologico is well worth a visit. Featuring a smattering of ruins along with plenty of nature, this park also has a large waterfall and plenty of shady seating. You’ll also see Mayan sculptures and monuments. Nothing makes me quite as happy as watching the ocean splash away from the soft pounding of hoofs in the surf! This 30-minute horseback ride (booked via Trip Advisor) has an English-speaking guide that does very well pairing riders with their skill levels. You’ll start off in “the jungle” and then emerge onto a soft, white-sanded beach for a trot or gallop along the water. Great photo opportunities abound! You’re free to stay at the beach after your ride if you like. Taxis are available to get you back into town. On the southern half of Cozumel is a beautiful jade cavern filled with clear water, and the only way to reach it is with an off-road vehicle. Wild Tours offers both guided buggy (skip them) and guided ATV tours to the cavern. You can also take a high-speed Jet Boat down to the area. Prepare to get very muddy on this trip! Water shoes highly recommended and you’ll need bug spray for sure. Even if you’ve seen cenotes before, this one is beautiful and different from any of the others I’ve ever seen. I recommend leaving all but your absolute essentials at your resort — the lockers here are pretty expensive to rent. You can rent regular bikes on Cozumel too, but for sheer speed and fun I much more enjoyed the Punta Sur Eco Beach Park Electric Bike Tour in Cozumel by Beach Bum Cozumel. The E-bikes have thicker tires and the electric assist makes it possible to do the whole island in a day easily, allowing you to hit spots like the eco park, lighthouse, and wild terrain areas. On the Punta Sur Eco Beach tour, you’ll go through jungle, past beautiful lagoons, visit the lighthouse, snorkel and see plenty of wildlife. Like many tours on the island, this one also stops at the Tequila Factory. 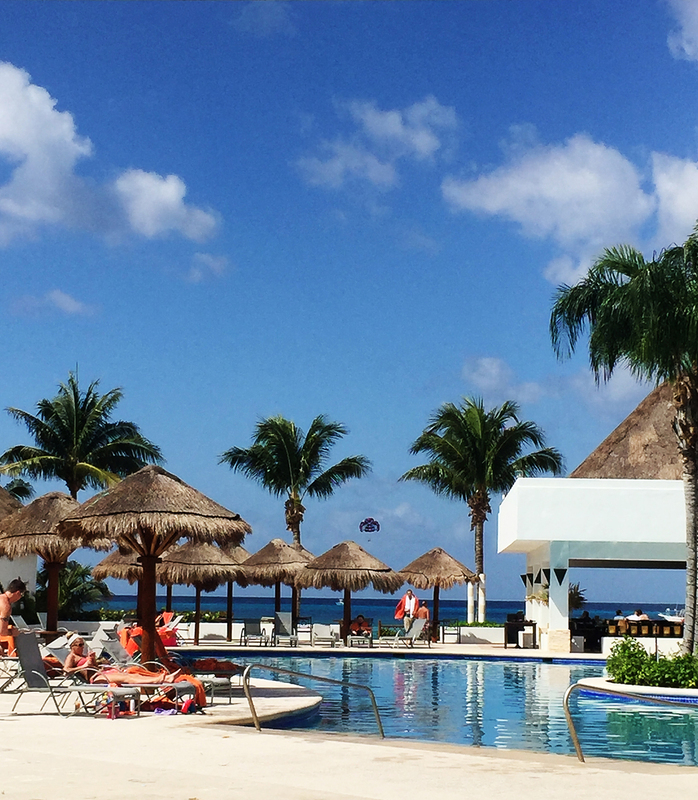 If you have kids with you on Cozumel, they will be absolutely delighted by a morning, afternoon or day at Paradise Beach — and it’s likely that you will be too! This beach is extremely easy to spot along the shoreline — it’s the one with tons of inflatable docks and jungle gyms! The beach here is especially soft and there is a heated pool, which may sound nuts but is a nice contrast to sometimes cold ocean water. There are parrots to visit and feed near the restaurant, a swim shop in case you forgot any essentials, and of course a bar stocked with delicious sugary drinks. A fantastic spot for relaxing and tanning if you want a change of scenery from your resort, or if you’re visiting Cozumel on a cruise. Whether it’s breakfast, lunch or dinnertime, this burrito shack always hits the spot! The staff here speaks English very well and the menu is on a chalkboard in English. The portions here are HUGE and filled with the good stuff — protein, rice, avocado in a fresh tortilla. I’m a big fan of the pulled pork burrito but the vegetarian burrito is also excellent. For $5 ($6 with a bottle of water), this place is hard to beat for value, freshness and overall yumminess. I know the Señor Frog’s might be tempting but pass that up and walk a little further north to Kondesa for dinner. This tiny hidden oasis under a huge palapa is a total delight. You’ll find this place is romantically lit at night courtesy of lanterns and string lights. From their salsa trio to their unique preparations of incredibly fresh fish, expect your taste buds to be delighted. I loved their octopus pasta (pasta de pulpo) and Alex was all about their catch of the day, which was tuna the night we dined there. Be sure to save room for the churros which come with a chocolate sauce to die for. We tend to skip the touristy restaurants for a more local feel. You won’t find any English-speakers here but you will get one heckuva cool local fish-cooking experience. 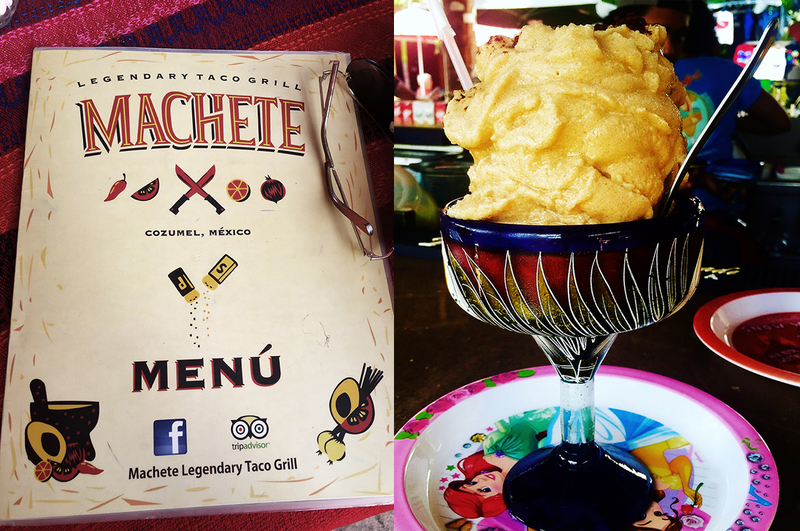 Start off with the excellent guacamole which comes in a molcajete and yummy salty tortilla chips, then get the delicious tacos de pescado (fish tacos) which are often cooked tableside on a grill cart. Hidden further back in town, Pescaderia San Carlos is an amazing local fish joint. If you’re not scared of being served an entire fish on a bed of rice then this place will reward you with exquisitely prepared local flavors. The kitchen is open to the restaurant so you can see your meal made from the moment you choose your fish to the second you’re presented an overflowing plate of deliciousness. Much of the staff here speaks fluent English. This is a great place to go if you want a quick bite — the food is made very quickly. Located on a vibrant, busy alley (that’s quite open, not scary or tourist-trap laden!) Wet Wendy’s is a local institution known for its ceviche and its huge frozen margaritas. That huge concoction on a Little Mermaid plate in the photos above? That was my espresso margarita, helpful not only for energy purposes but also for, shall we say, getting things moving after a week avoiding salads due to fears of Montezuma’s Revenge. This place is a real hoot that’s sure to be full of tourists when you go, but even with mostly visitors dining and drinking this bar/restaurant is well worth a visit. Make sure you come on a taxi day rather than a scooter day! Located at Mr. Sancho’s Beach Club, this is a spa where fish are used to get all those dead skin cells off your feet. It feels funny at first but is quickly very relaxing, and your feet will feel great afterwards! The spa attendants are very friendly and I loved my pedicure. 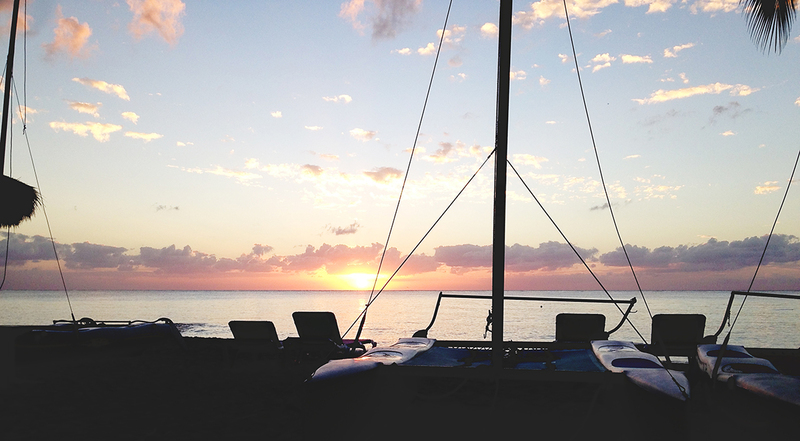 Could there be a better place to try Reiki than the the relaxing surroundings of Cozumel? I’d be hard pressed to think of a better place to give this soothing relaxation technique a try. I found this experience to be incredibly rejuvenating! I did on my last full day on the island, and the results followed me home for days afterwards. I haven’t tried this one myself, but so many of my friends ask if I’ve done the Temazcal Cenote Experience, and rave about it! This steam lodge over a cenote provides a ‘spiritual experience’ according to my friends who have done it, all led by a trained leader in the art of spiritual healing and renewal. This sweat lodge is best experienced with a group of friends I’m told. Beautiful photos Roxy! I have been to the Yucatan Peninsula. Never made it to Cozumel. It's on my list now thanks to this post! Thank you also for the Cheap Caribbean recommendation, I see they have lots of destinations I'm hoping to get to. The name threw me off so your recommendation helps a lot. 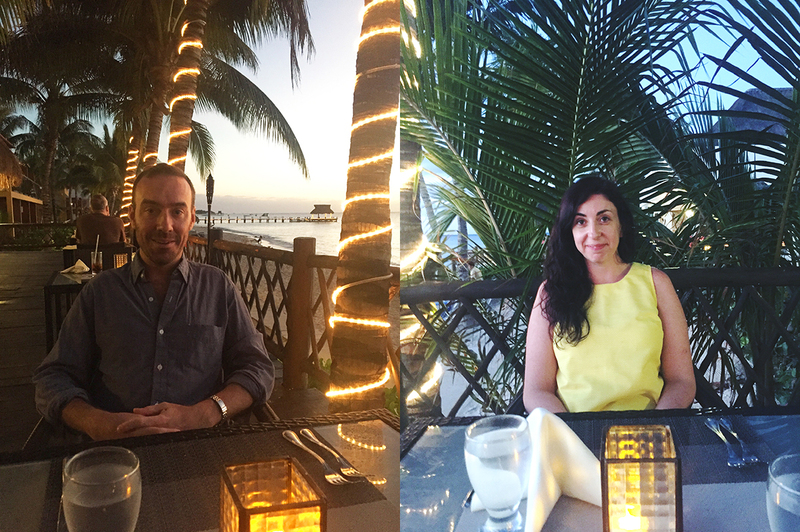 Cozumel is such a great place for a getaway, being off the mainland it feels more relaxed! Absolutely love it there. Such pretty shots, it looks gorgeous there! Looks like y’all had a great trip! It was such a great trip. Thanks Kate! Omg this looks like such an amazing trip!! Now I definitely want to go here!!!! We spent a week in Cozumel for our honeymoon! I LOVED it! ATVing through the jungle was one of our favorite things to do! It IS pretty much the ideal honeymoon spot! OH my goodness now gorgeous is this?! I've always wanted to visit, and now I need to! I've always wanted to go to Cozumel. It's the perfect tropical getaway. I totally agree, in fact I'm kind of wishing I was there right now. What a fun trip! Cozumel looks beautiful- I am heading to Jamaica in 2 months and CANNOT wait! Oh my goodness, that will be wonderful! I love Jamaica!! It is our go-to company for Caribbean vacationing. Cozumel is such a wonderful place to visit. I was there late last year and had a wonderful time! Cheap Caribbean sounds like a great way to find an affordable trip. I have never met anyone who had a bad time in Cozumel! It's so great. OMG, Roxy–what a coincidence! I was just beginning the process of researching Cozumel for our next vacation. We got back from Mexico several days ago, and the best way that I know to combat the post-vacation blues is to plan our next vacation. 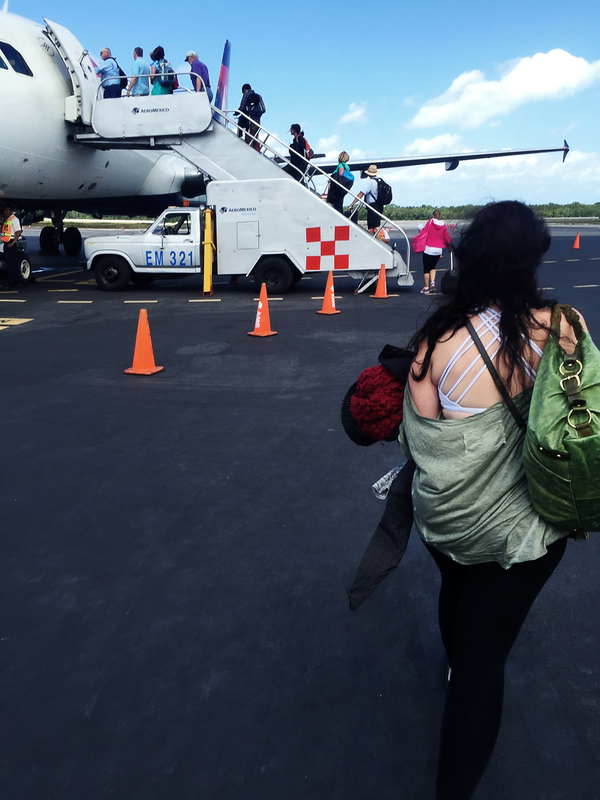 We've been to Isla Mujeres several times but have yet to make it to Cozumel. We are avid snorkelers, and your snorkeling pictures affirmed that Cozumel is the right place for us! (By the way, your snorkeling pictures are awesome; may I ask what type of camera you use?) Thank you for all of your recommendations; I know they will come in handy when we are there in the summer! Hee! Those photos were by our guide, not me. He used this camera: http://amzn.to/2Dg9Nug (an Olympus waterproof). But I personally just bought this camera — http://amzn.to/2Djrvkw — and LOVE it. Takes really good photos and videos, is waterproof, and is under $100. I'm sure you'll have an amazing time on Cozumel. There are SO many great spots to snorkel. Thanks for your response and for the camera rec, Roxy; I appreciate it! You sure are fueling my wanderlust right now! My fiancé and I had hoped to do a tropical destination/international trip for our honeymoon, but funds aren't quite enough so it looks like we will either be staying close by or trying to stay somewhere warm in the states haha. But maybe someday I'll get to travel like this! This looks so amazing. I've been but it's been a while, I need to go back. Thanks for sharing! I could sure use a trip to the beach right now! 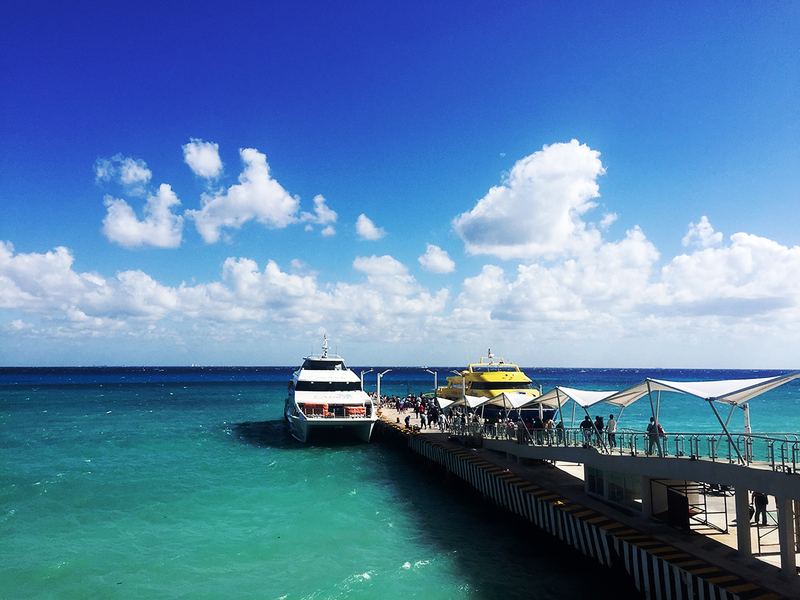 I have only been to Cozumel on a quick cruise pass through, but I loved it! Definitely putting this on my list of places to go this year! I went to Cozumel on a cruise once and absolutely loved it! Your post is definitely making me want to go back and spend more time there!! Ahh Cozumel is so fun!! We were there as a stop on a cruise once and loved it. Thanks for sharing all your trip details. 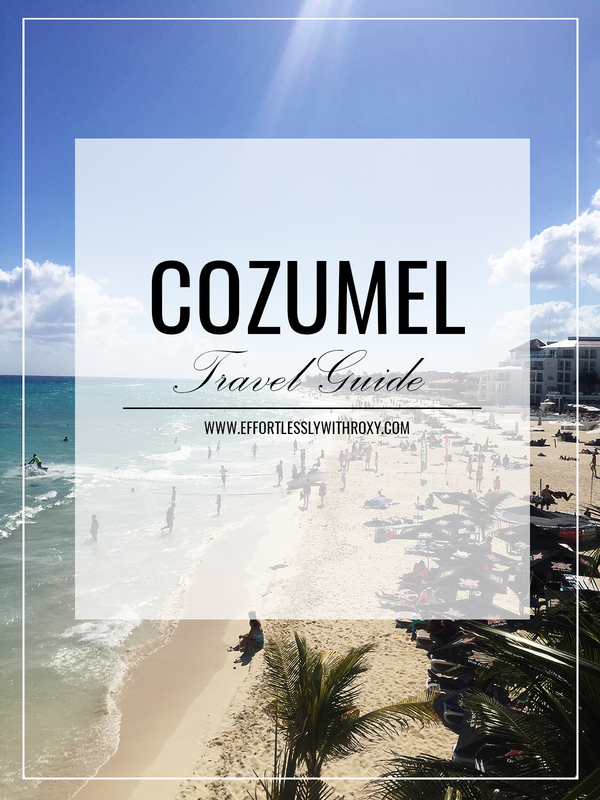 We always go to Mazatlan, Mexico but have heard such amazing things about Cozumel! It looks like you guys had a great trip! Oh my goodness, this is going on my bucket list. It looks so pretty.